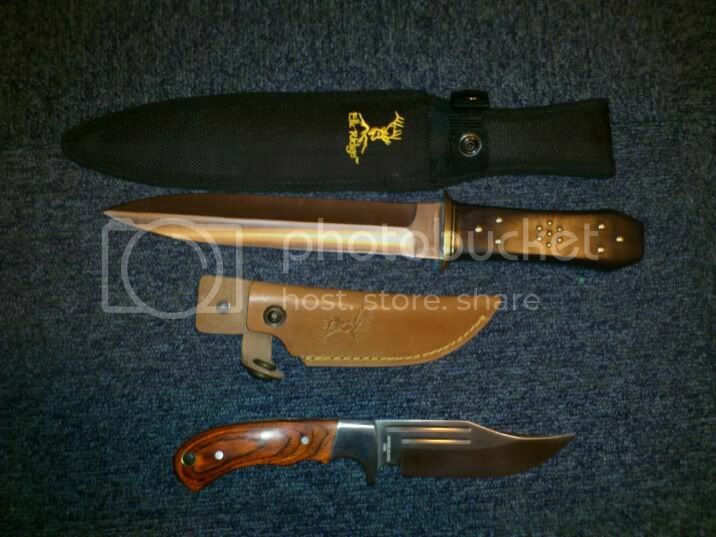 The Elk Ridge Dagger is the Wife's & the Elk Ridge Hunter is mine, full reviews in the relevant section after this, we are well chuffed, many thanks to Lawrence for the outstanding service, politeness & products, that's all for here, I'm off to the reviews, all the best, Martin & Donna. Last edited by liquidator96 on Sun Aug 19, 2012 3:21 pm, edited 1 time in total. 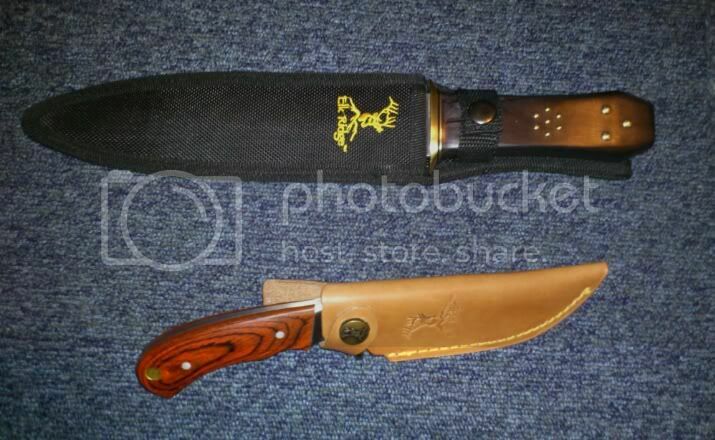 Interesting handle on that dagger, is the stud effect just decoration or part of the fittings that hold the blade in?. Hunters nicer tho, I love rustic look ones.